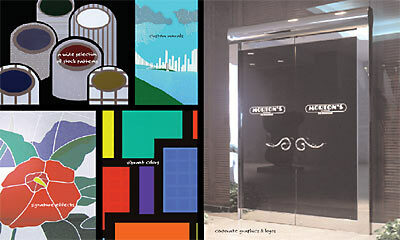 Glass treatment films can add new style to buildings for a fraction of the cost of other refurbishments without the inconvenience of relocating tenants. Available in a wide variety of colors and patterns, tinted, semi-reflective or fully-reflective film enhances any architectural design. From the inside, Llumar has a pleasant, glare and distortion-free view and from the outside it has a uniform appearance that complements the building's design. 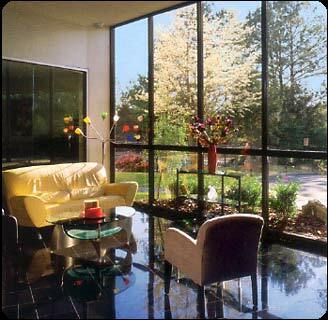 One look at LLumar decorative film and you will know you have never seen a window film quite like it. 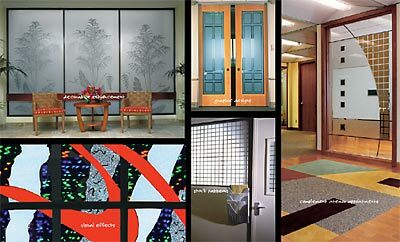 * This film lets you achieve the look of etched glass, at a fraction of the cost. * It opens unlimited design possibilities, allowing you to bring vibrant color, visual effects and graphic patterns to glass surfaces in commercial and residential spaces. * It gives you new power to impart privacy and enhance safety in commercial spaces. 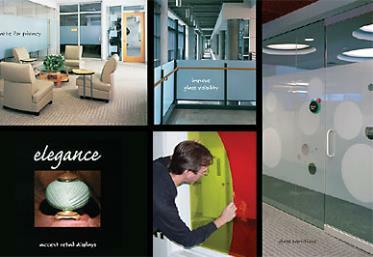 LLumar glass enhancement film puts a new world of creativity, functionality and flexibility within your grasp. And within your vision. You can bring color and texture to virtually any glass window, door, or room divider. Subtly or sensationally. LLumar decorative film puts multiple colors and patterns at your disposal: red, yellow, green, blue, bronze, white, black, matte, frost. Combine any or all to splash on virtually any color. Achieve any hue. Diffuse, focus, or block light completely. 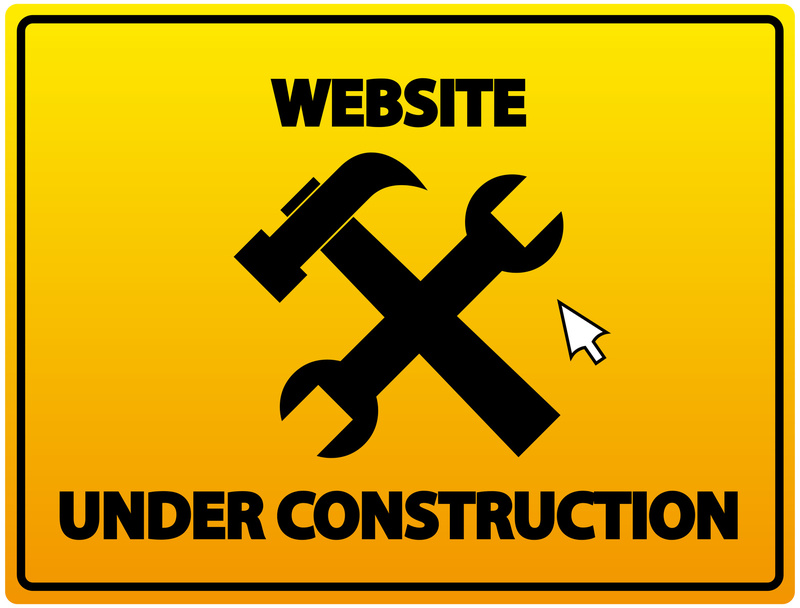 You can customize a space with a corporate logo or signage. And choose from dozens of patterns to create enriching visuals; overlap multiple patterns to create signature effects. LLumar film can even add solar protection to sun-drenched spaces. 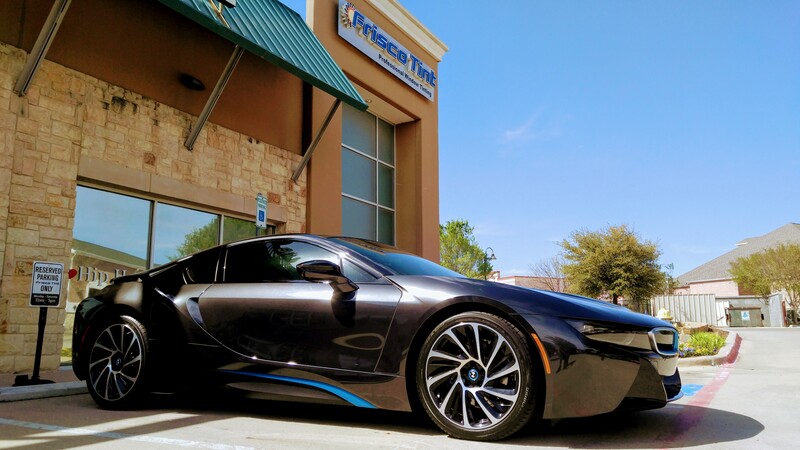 Frisco Tint® is your number one source for professional window tinting. We surpass the competition, in not only price, but value as well. Choose from an array of optically clear and tinted films and several levels of protection to get just the look and sun protection you desire. From high- performance metalize films to ceramic combinations that will "block the sun, not the signals. Frisco Tint® will fit your style just right and dramatically enhance the appearance of any vehicle. Window film keeps the inside of your car in top form - reducing the fading and cracking that comes with unprotected sun exposure over time. With our High Performance Resin (HPR) adhesive, the film smoothly hugs your vehicle - no bubbling or cracking. And professionally applied, the durable film will stay looking smart, resist scratches and provide optical clarity for years to come. Frisco Tint® offer the leading brand in window film, backed up with a nationwide manufacture's lifetime warranty against bubbling, fading, turning purple, peeling, cracking, defects on film and workmanship for as long as you own your vehicle.